You are currently on: How do we ensure Auckland's continued growth happens in a sustainable, climate sensitive way? 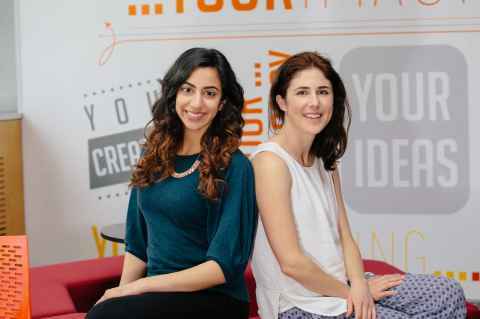 Mai Al Sharaf, programme coordinator, and Jenna Ash, programme manager, Centre for Innovation and Entrepreneurship, Faculty of Business and Economics. In Auckland, Climathon 2017 brought together students, staff and the community to generate innovations and solutions to gnarly climate change issues in a 24 hour global ideas ‘hack’. This was the first time the event, held simultaneously in over 100 cities worldwide, took place in New Zealand. Participants formed into teams over the course of the weekend, developing ideas including an app that uses an item’s barcode to tell users how to responsibly dispose of it, human waste as an alternative source of renewable energy, seaweed as a methane-reducing feed for livestock. The Centre for Innovation and Entrepreneurship partnered with Vector to bring the event to life. Our team, including Naomi Bradshaw, Trudi Gwillim, Sreshta Sridhar and Wendy Kerr, were honoured to witness the passion, energy and hard work of participants responding to the pressure-cooker of a hack environment. The Centre continues to run programmes that inspire and support students to develop solutions in line with the Sustainable Development Goals, including our ‘Get Good Done’ programme.